The Omron HN288 Digital Personal Scale is ideal for monitoring your weight at home and features the weight difference function that gives you the ability to easily measure the weight of a baby or perhaps luggage. The accuracy of this weighing scale means that it will detect even slight weight changes thank to its 4-sensor technology. 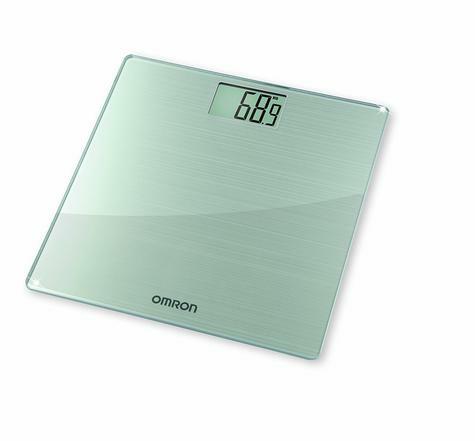 With the sleek, flat design (just 1.8 cm) with safety glass, these scales will look stylish in any bathroom. 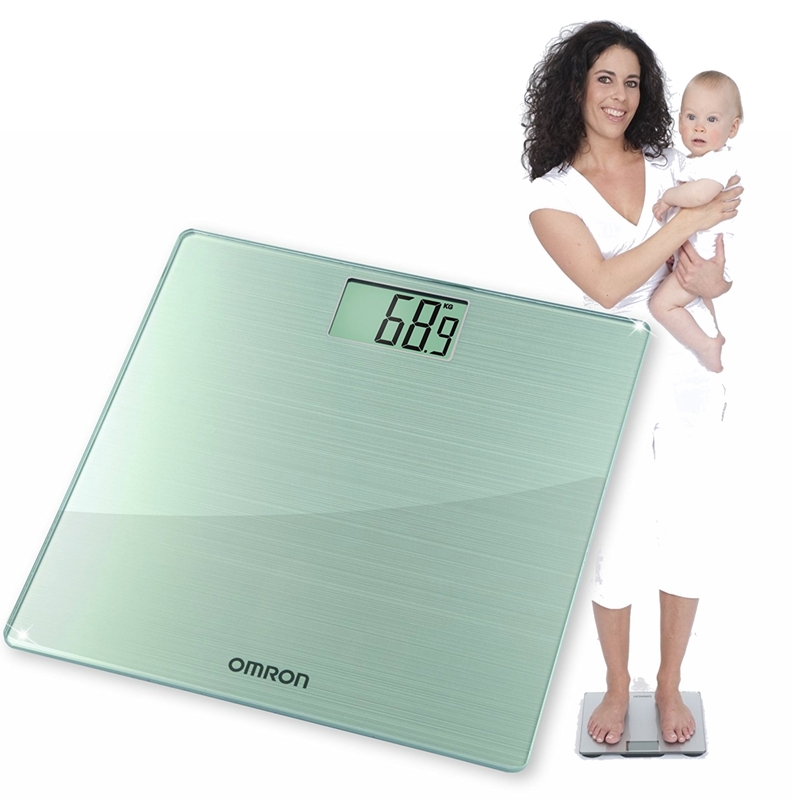 The HN288 digital scale is easy to use. 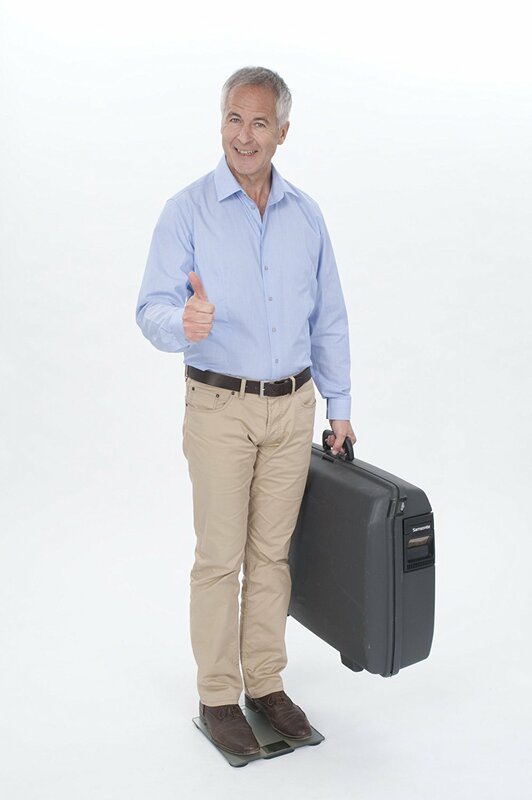 With a simple tap of your foot on the surface plate, the unit turns on and is ready to be used. The extra large LCD display is clear and easy to read, with measurements given either in pounds, stones or kilograms and the auto switch off preserves the battery life. The rubber pads on the underside of the unit prevent it from moving when in use and you can choose your measurements to be shown in pounds or kilograms up to a weighing capacity of 180 kg (400lbs, 28 stones).